It looks great, and I bet the new owner will be thrilled with it. Getting it done in 3 weeks is just amazing. OH, WOW, Janice, this sweater is just GORGEOUS! I love the color AND the pattern. What a blessed person, the most fortunate recipient! Three weeks! 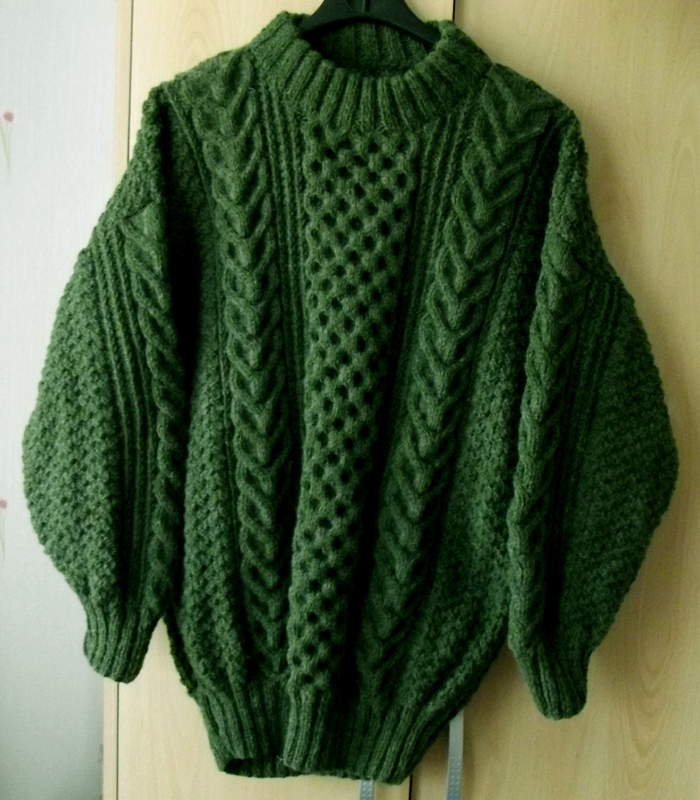 Wow you knit fast. It would have taken me 3 months!